to communicate with a very special robot in the ocean. This is the second episode of a two-part visit to MBARI. We’ll learn about this robot, anchovies, and how high school teachers are using MBARI data right in their classrooms. Have a listen. Special thanks to Kim Fulton-Bennett and Cynthia Ogg. Music from Bexarametric. 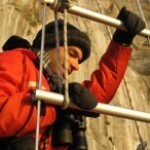 Francisco Chavez studies the interactions between climate and sealife. 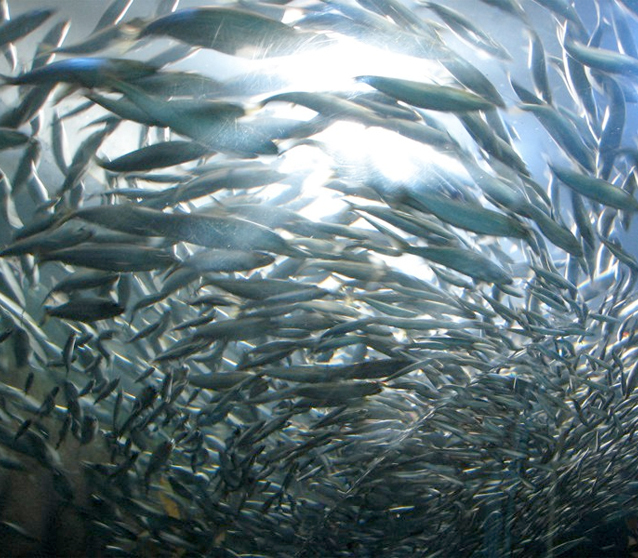 One of his projects look at the impact of El Niño and La Niña on anchovy populations. 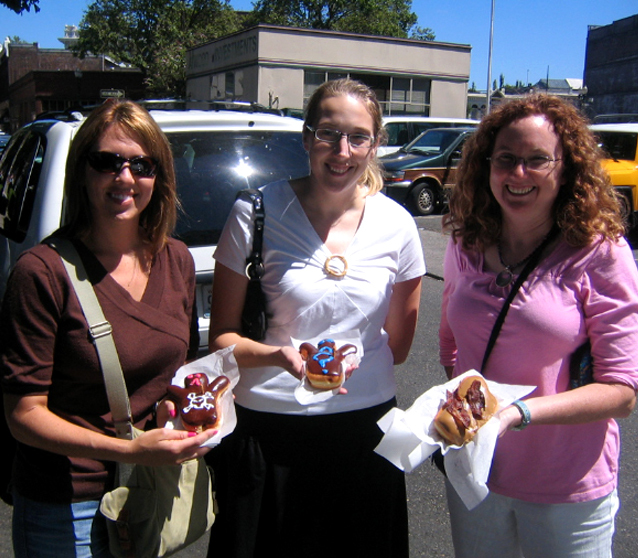 Teachers Ashley Spencer, Jennifer Sunderman and Katie Lodes pick up Voodoo Doughnuts during this year's EARTH workshop in Portland, Oregon. Credit: George Matsumoto. 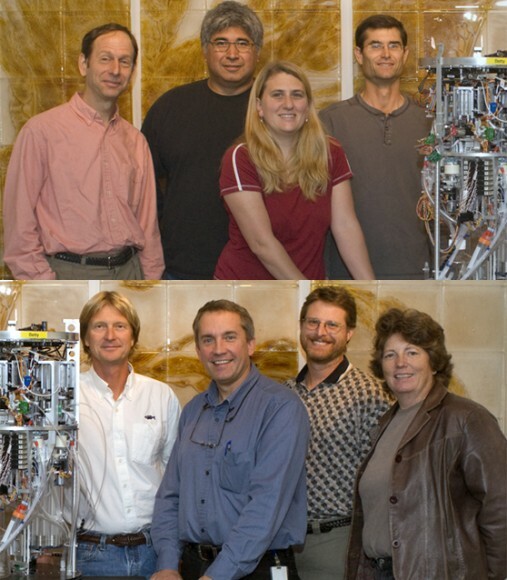 The ESP (Environmental Sample Processor) team including Jim Birch (bottom, second from left) and Cheri Everlove (bottom, far right). This underwater robot offers on-site collection and analysis of water samples from the subsurface ocean. Credit: Todd Walsh, MBARI. 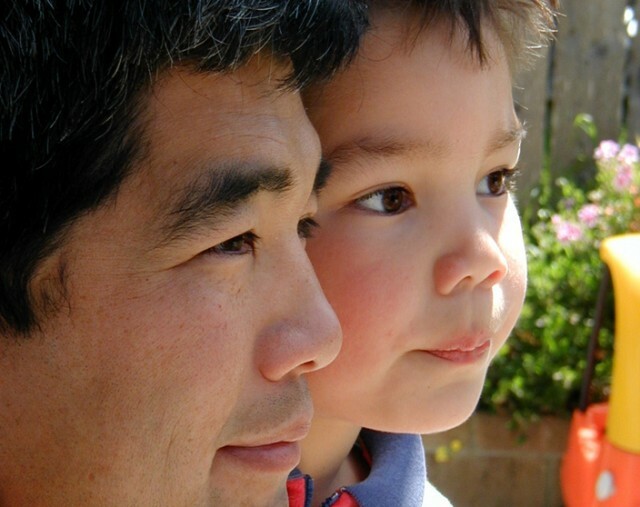 George Matsumoto connects MBARI scientists to teachers and students all over the country. His son, Daniel, is no exception. Credit: Curtis Axell.